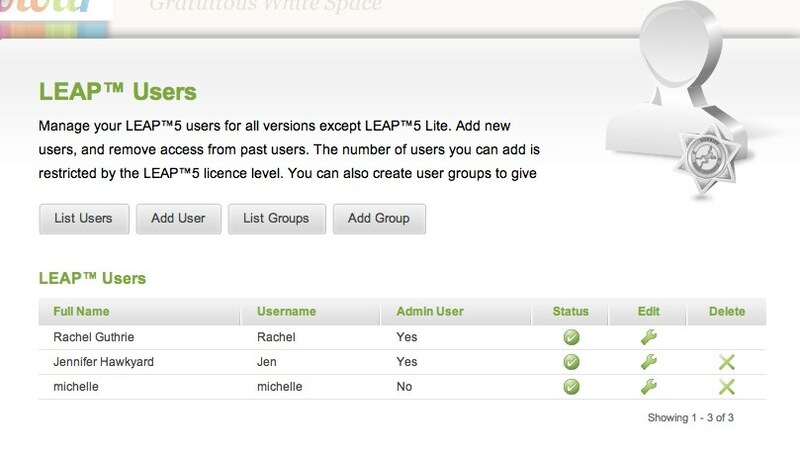 View the details of LEAP™ Users associated with your installation of LEAP™5. Group users together to make management of access settings and access zone restrictions easier. Specify the name of a group e.g. Office admin, and then specify a Permission name e.g. Spaces (indicating you will give then access to content spaces but not to styles or skins). The control of these access levels is set in the Access Zones covered in the next section. From the login screen a User can have a new password generated and sent to the email address that is saved with their login name. If the User cannot access that email account, or if they have forgotten their Username, an administrator can reset their password. 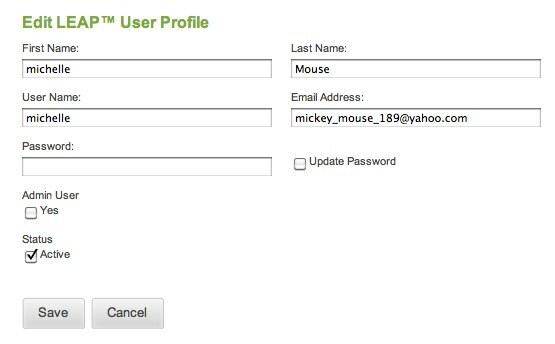 Use the Edit option to update the users details including Username, Access level, email address and password. The user can then update their password from the System / Account Preferences menu whne they next log in.